Remix OS is perhaps the best Android Emulation to PC Ever Possible. For the first time, a Pure Android is portable to install on a computer as a totally new operating system. Remix OS is developed by JIDE, and they have shown an art of brilliance through their creation. JIDE is planning to load Remix OS on both Android Tablets as well as Windows and MAC Computers. As of now, the Remix OS iso file is ready to be installed on any Windows and MAC Computer. You just need to download correctly the iso file and create a bootable image that can load the Remix OS on your computer. In this post, we are covering the steps to download the Remix OS on your device. Let’s begin. Well, this is an essential step, and you should do this correctly. 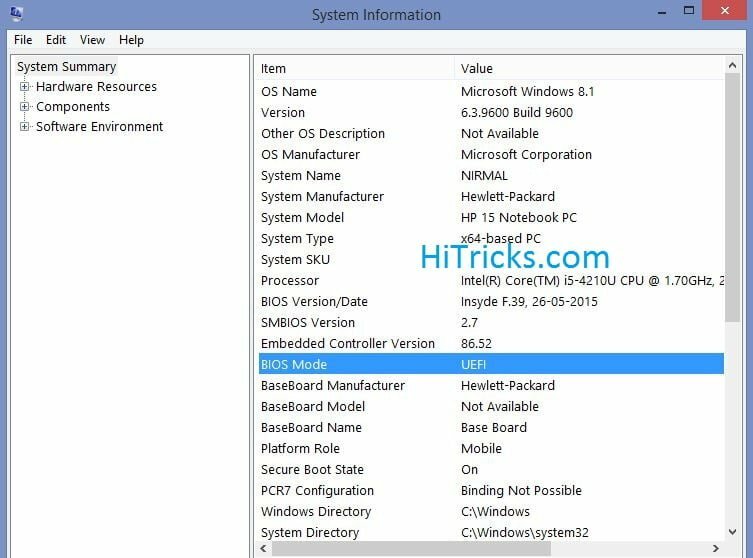 These are the two different types of BIOS modes for your computer. You are either on UEFI or Legacy. We don’t need more details about the two file types here; we just need to find out whether your computer is on UEFI or Legacy mode, just for the sake of downloading the correct type of File. 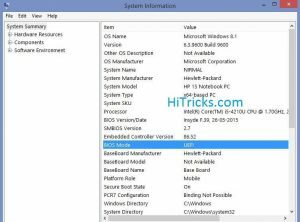 If you are familiar with installing operating systems earlier, then you must know what these two means, and you should know whether your PC is on EFI or Legacy. But, in case you don’t know, here’s is an easy way to check it out. 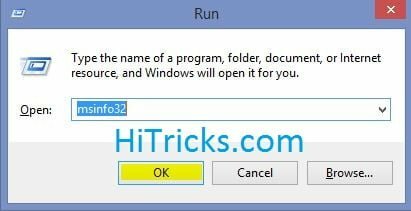 Click Windows Key + R to open the Run Command Dialog Box. This will open the System Information Dialog Box. You can check the BIOS Mode by clicking System Summary in the Top Left, and then searching for BIOS Mode in the right side options. Refer to the image below. If it shows UEFI, you should go with Downloading the file for EFI. And if it shows Legacy, you should go with downloading the file for Legacy. Note: If you download the wrong type of file and try to boot, your computer may not boot and will throw errors. 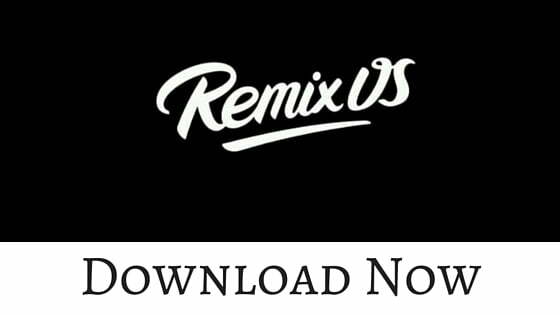 So make sure you are downloading the correct form of the Remix OS. Below you can find the download links for both types of Files. Note that this version of the Operating System is compatible with both your Windows and MAC PC. This is because the file is itself does not load inside any of your existing Windows or MAC Operating System rather it is creating its own Operating System and making its way through it. Before downloading, let me tell you that the operating system is just a baby and released on 12th of January, 2016. So it is in Alpha Stage and is intended only for enthusiastic users only. This version of Remix OS has BUGS, lots of them! Only Download if you can’t resist yourself from tasting the Remix Flavor. Don’t worry, NO FILES INSIDE YOUR COMPUTER WILL BE HARMED AT ALL. Your existing Windows or MAC OS will stay as it is and won’t be touched at all. Well, below are the Download Links for the Remix OS. Now proceed to install it. 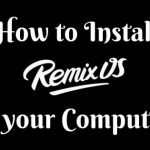 The complete step by step guide to Install Remix OS on Windows can be found here. Well the Remix OS does not come with Google Play pre-installed. You need to install it afterwards. Here is the step by step to do that. 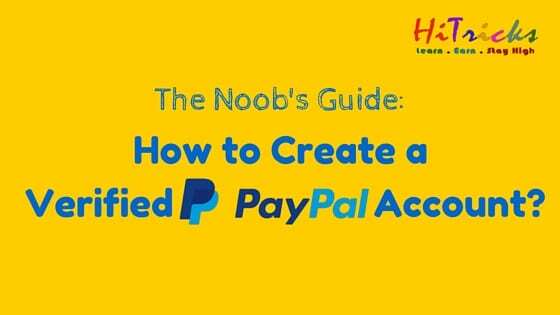 Guide: How to Create a Verified PayPal Account for India? The iso file from remix OS EFI is corrupt. I download 2 times, and all of those are corrupted. one from the remix os website, the other one from dailyupload that i got from this site. any solution? my laptop is uefi. Which version should be installed on a mac? Or what instructions are there for finding out if my Macbook Pro is Legacy/EFI compatible? This is the correct method.Legacy have 15 files,EFI have 10 files and different bootloader.If downloading the wrong files pc will not boot-start…only here i saw the correct method..